Let’s be honest, many people out there will be apprehensive about the idea of filming their lessons… “I don’t like hearing my own voice”… “I’m sure I’ll look awkward on camera”… “The children will act differently and it will disrupt my lesson”…or… “I just haven’t got the time”. These are just some of the excuses I have heard for not filming one’s lessons; I’ve used some of them myself. But the simple fact is that watching your own lessons back is a means of stepping back from the hustle and bustle of daily classroom life. It is a way of taking a more objective look at what you are actually doing in your teaching and how your pupils are acting and reacting (even when you’re back is turned!). 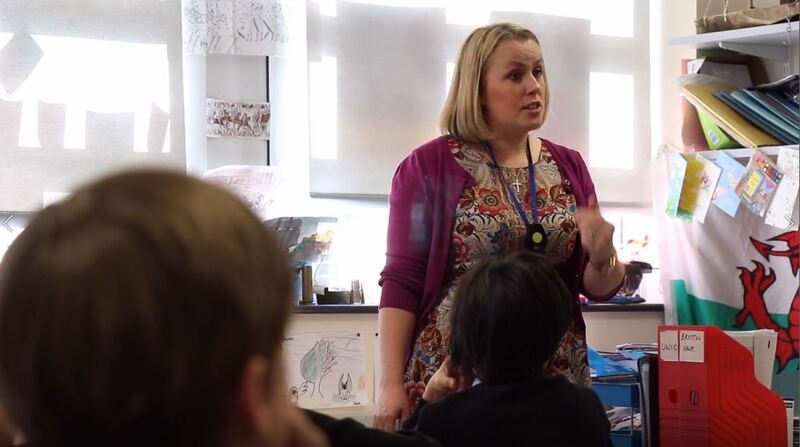 Once I got over seeing and hearing myself on camera – and that honestly only took about 5 minutes once I put my ego aside – I started to notice things in my classroom that I hadn’t managed to pick up in the thick of it all, or even reflecting on my lessons afterwards. I noticed verbal crutches that I was using, stock phrases that didn’t really mean much but had the potential to confuse or over complicate my instructions. I noticed that I favoured one side of the classroom over another. I noticed that my explanations were not as clear as they seemed in my own head. I noticed a lot that I had missed previously and now that I knew these things, I could do something about them! Pupils soon forgot about the cameras and the logistical extras of setting up the cameras proved more than worth the time and effort. The UK teachers’ standards state that teachers should ‘reflect systematically on the effectiveness of lessons and approaches to teaching.’ Several academic researchers back this up, with Killeavy (2006: 168) arguing that ‘improvement of self and others is a fundamental expectation’ of effective teaching and learning in schools, whilst Lofthouse & Birmingham (2010:3) state that ‘a fundamental objective of student teachers’ professional learning is development of their ability to analyse and evaluate their own pedagogic practice’. Similarly, Runhaar & Sanders (2017) point out that it is important for teachers to actively pursue their continuing development and learning throughout their careers, whilst it is the responsibility of school leaders to help facilitate this. The question is, how do we do this? Now, if you’re reading this, the likelihood is that you are someone who values their own professional development and does reflect regularly on their lessons. In fact, I’d wager you’d all agree that it is impossible to be an effective teacher without doing this. I remember when I was first introduced to the teacher standards during my PGCE year and I kept coming back to one word: systematically. What did this look like in practice? What distinguishes ‘systematic’ reflections? For many trainees, this involves annotating lessons plans whilst for others (and not just trainee teachers) this may happen partly through a regular coaching schedule. Whilst these both may be useful means of reflection (and I am especially in favour of coaching), both are reliant on you as a teacher thinking about your lesson from your own perspective. Videoing oneself allows for the potential to view one’s own lesson ‘in the third person’, as an observer (still not impartial but much more separate). According to Clotfelter, Ladd and Vigdor (2006), teachers improve and hone their craft up to the first five years of their career, at which point many plateau. What is less clear is the cause of this plateau. How can teachers avoid this? Harrison et al. (2005) suggest that teachers might consider adopting a reflective scaffold for their reflections, much in the same way that an experienced colleague or tutor may use a template to guide their feedback for trainee teachers. Teaching can be an all-consuming activity. Throughout lessons, teachers will be spinning many plates: explaining concepts, modelling skills, scaffolding tasks, promoting positive behaviour, supporting individuals, questioning to check for understanding and so much more. They will often be leading classes with 30+ students who all have a broad range of prior attainment. Personally, I find it useful to focus on individual aspects of my teaching when I am watching my lessons back, perhaps my questioning, quality of my explanations, positive behaviour management, or routines. As I wrote earlier, one objection I often hear to the idea of filming my own lessons is that it can be daunting. Many people don’t like to hear recordings of their own voice, let alone see themselves on screen, and yes, at first it can be a little uncomfortable. Trying anything for the first time can often be. However, once I got over this fear I began to realise how useful this tool could be. I was lucky. I was required to film a lesson, watch it back alone and then watch it again with my PGCE tutor during my first year in the classroom. I didn’t have a choice: I was lucky. Not every teacher is that lucky. Not every teacher will have to film a lesson during their training years but what is holding us all back from taking ownership of this? Rather than ask why film yourself teaching, instead ask why not? Get over your apprehension and give it a go…and if you filmed a lesson earlier in your career and haven’t tried it in a while, why not give it a go again? See how far your teaching has come, see what you can learn about yourself, and maybe, if you’re feeling brave and kind, see what you could share with colleagues. While videoing one’s own performance is common place in other graduate professions, including medicine, it is still relatively uncommon in teaching. The reasons for this are not clear: perhaps it is a result of historic fears centering on observation culture or perhaps it is because of the financial pressures on schools (Buck, Tomlinson and Toop, 2015) which do not allow sufficient time for professional development or the purchase of the necessary camera equipment. However, it has never been easier to see inside another teacher’s classroom and observe fantastic practice, for example using Teach Like a Champion clips. As a profession, I would suggest that we need to embrace this move towards videoing our lessons: at first for ourselves but also for the good of our schools and colleagues. In his book Drive, Dan Pink (2009) argues that motivation is determined by three factors: autonomy, mastery and purpose. Filming one’s own lessons has the potential to tick all of these boxes. In a world where teacher retention never seems to leave the education headlines, this seems to me to be too important to ignore. Teachers can be empowered to make change and have power over their own improvement; they have the opportunity to work towards being the best teacher possible; and their improvements should lead to better outcomes for pupils. Autonomy, mastery and purpose. Check. You can follow me on Twitter at: @educatingholmes and read my full blog on Why You Should Film Yourself Teaching here. 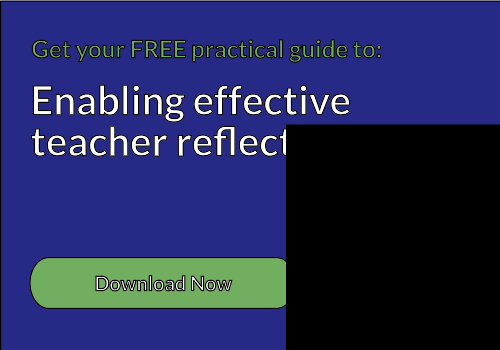 I would also recommend taking a look at IRIS Connect’s own guide to enabling effective teacher reflection.